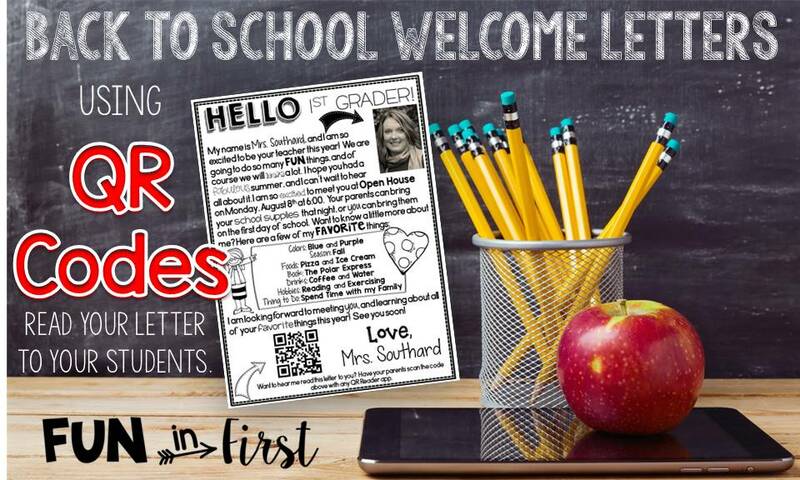 Do you send Welcome Back to School letters to your students before school starts? 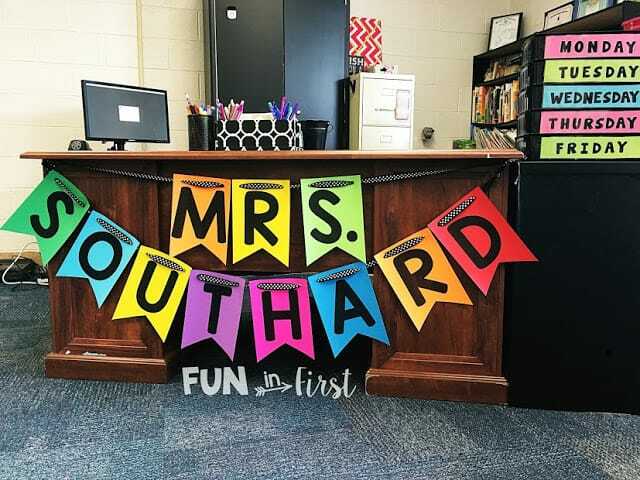 I LOVE taking this opportunity to welcome my students to my classroom! As a parent, I also love it. My two girls anxiously await their letters each year. Last year I added something special, and gave it a technology twist. 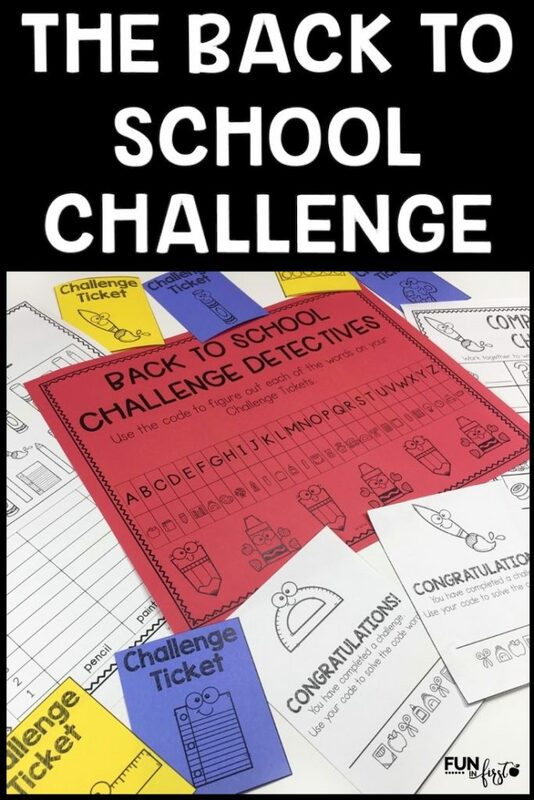 I have had amazing feedback from teachers everywhere wanting to do this for the coming school year, so I wanted to share it with you again. 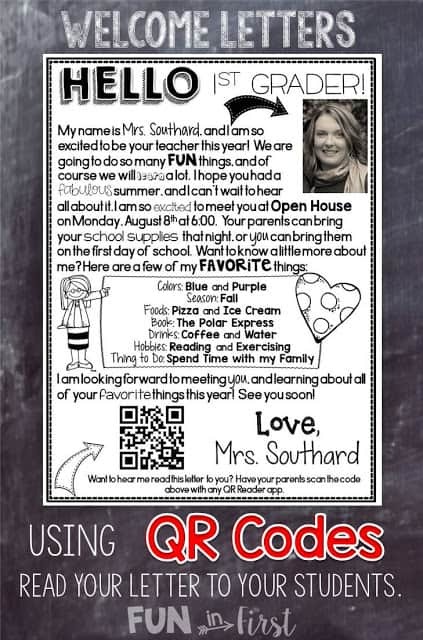 Have you heard of QR codes? I’m sure you have seen them around because they are on almost everything now. 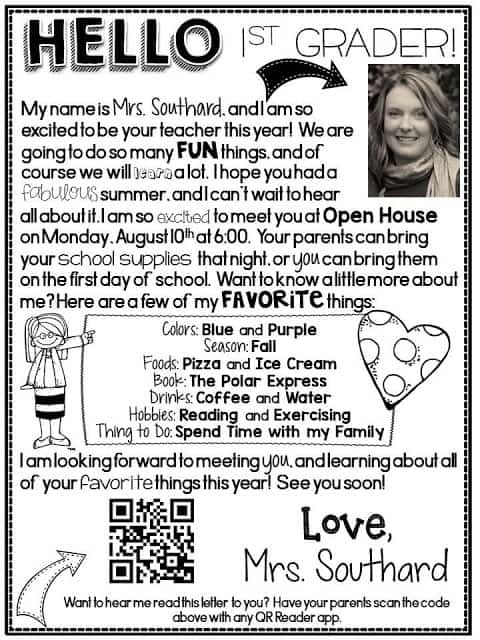 I decided to add a QR code to my Welcome Back letter. 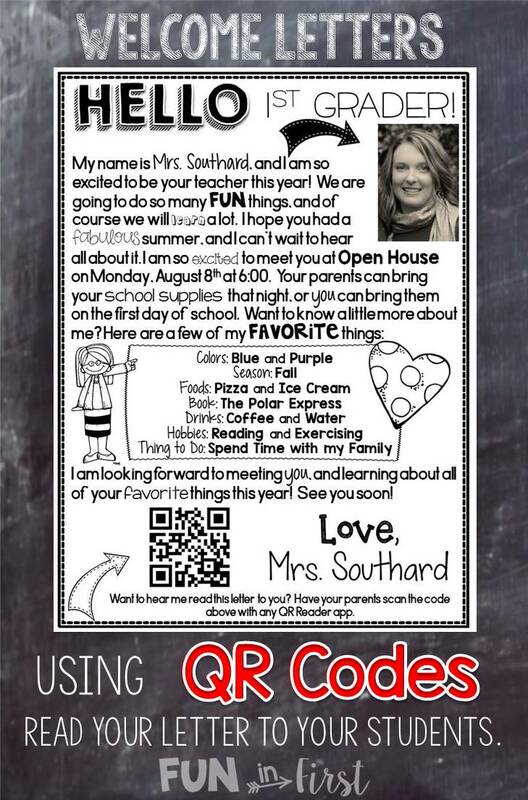 The QR code is linked to a recording of me reading the letter to my new students. Go ahead…try it out. If you do not have a QR reader on your phone, you can download a free one in your app store. So, want to make one for yourself? 1. 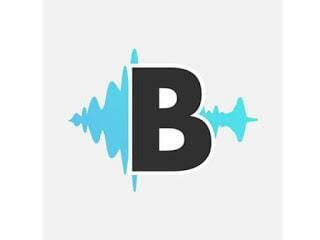 Download the AudioBoom app, and create an account. 3. 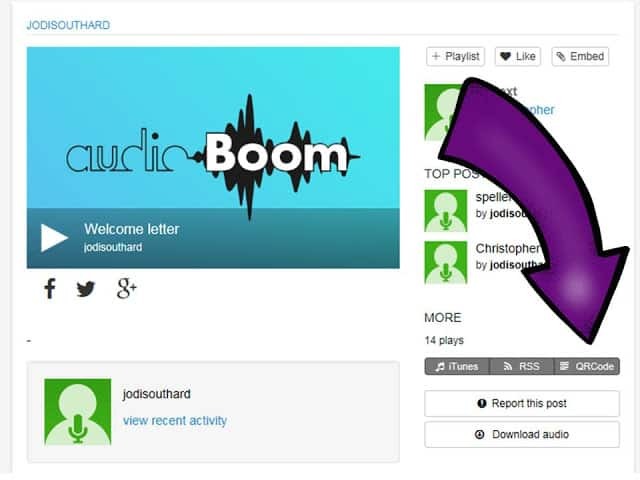 Go to www.audioboom.com and login to your account. 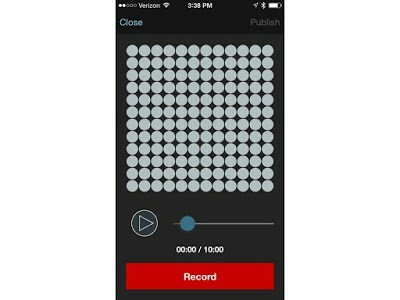 You will find your recording. Click on the “QR Code” tab. 4. Download the QR code and save it to your computer. 5. 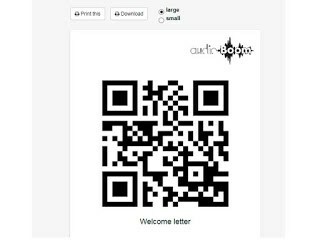 Insert the QR code into your letter. Done! If you would like to download the template from my letter, click HERE. I have placed text boxes on the pages for you to type into, but you can delete the text boxes, move them around, or add new ones. 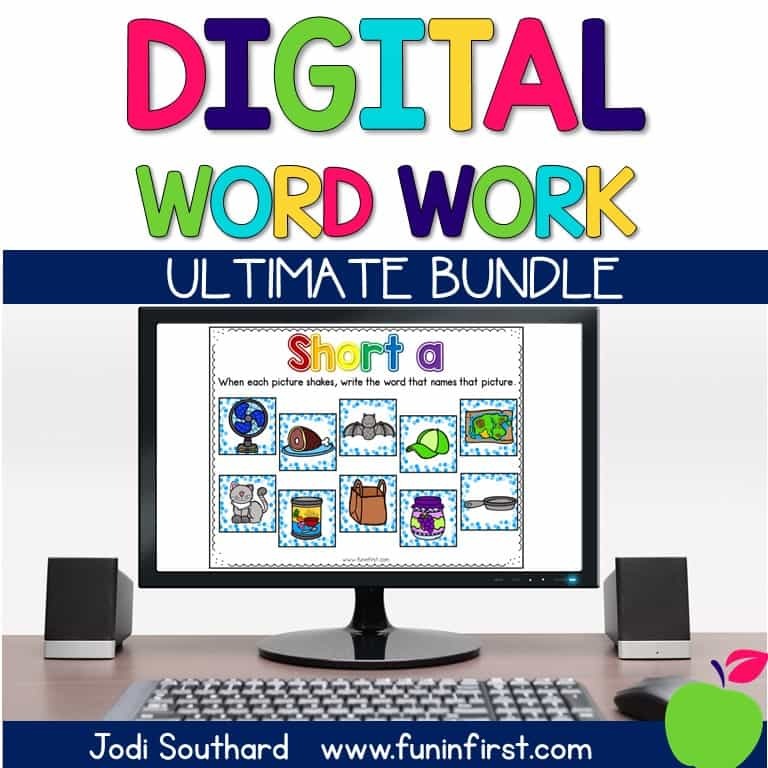 In this download, I have included Pre-K through 5th grade. I also included a plain one to help my Aussie friends. 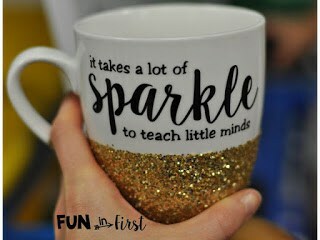 I love that this gives my students an opportunity to learn a little more about me as well as hear my voice. 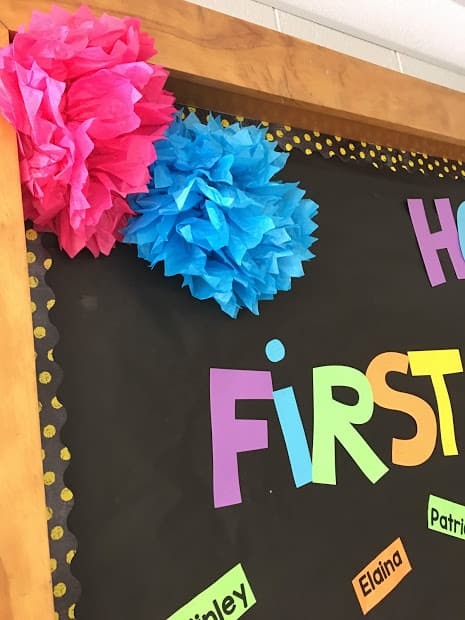 It’s all about establishing those relationships with your students right from the start. 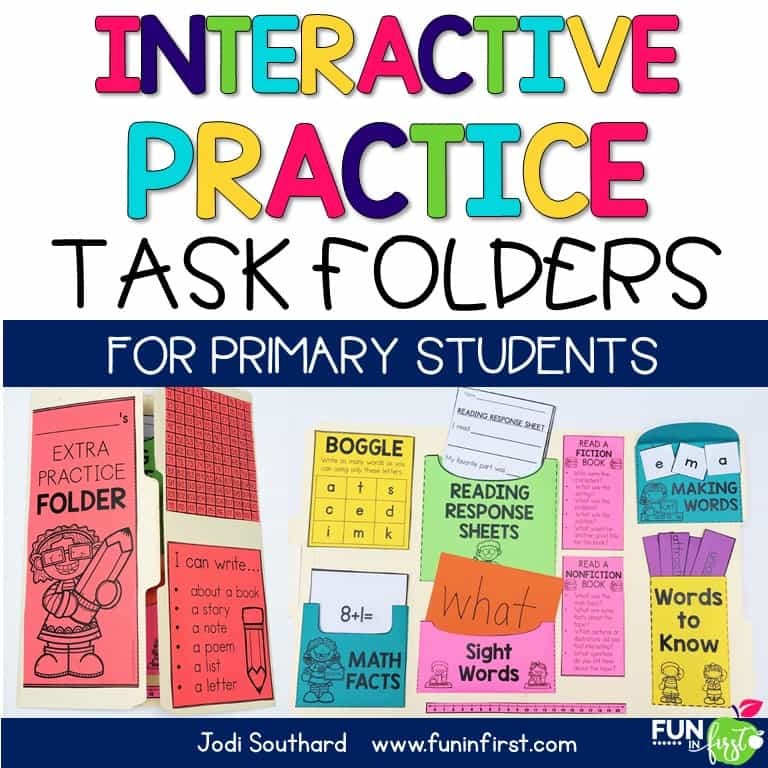 Want more teaching tips? Make sure to follow me on Facebook and Instagram. The countdown is on. We only have two more weeks until school starts. I went into my classroom on Tuesday for the first time this summer, and I swear I was just there. I’m not real sure where this summer has gone! I have to admit that I was a little slow to get motivated, but I have gotten a couple things accomplished. I wanted to share some of my latest projects with you. 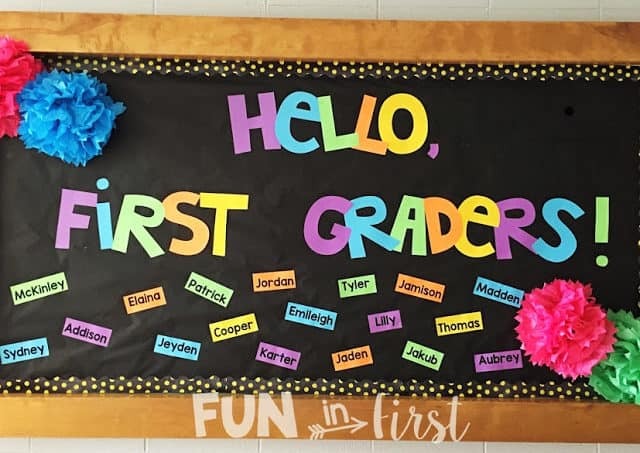 I finished the bulletin board outside of my classroom. I used my Cricut to cut the letters from Astrobrights cardstock. I added some tissue paper balls from Hobby Lobby for dimension. 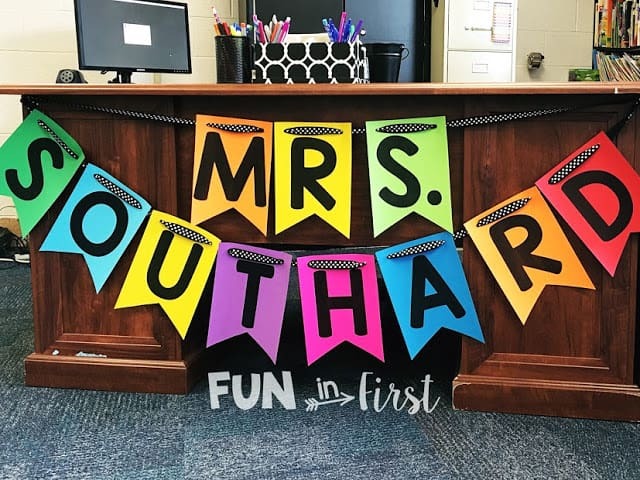 I also made this name banner for my desk. Staples donated some desks to our school last year. My old desk had my name in vinyl across the front, but this one didn’t. Many of my students were constantly trying to remember how to spell my name. I knew that I needed to find a fun way to add it to this new desk. I absolutely love how it turned out. I just printed directly onto Astrobrights cardstock, and then cut a triangle out of the bottom of each page. Then, I punched holes in the top and threaded my ribbon. I feel like I’ve made a huge dent in my classroom to get ready for school. 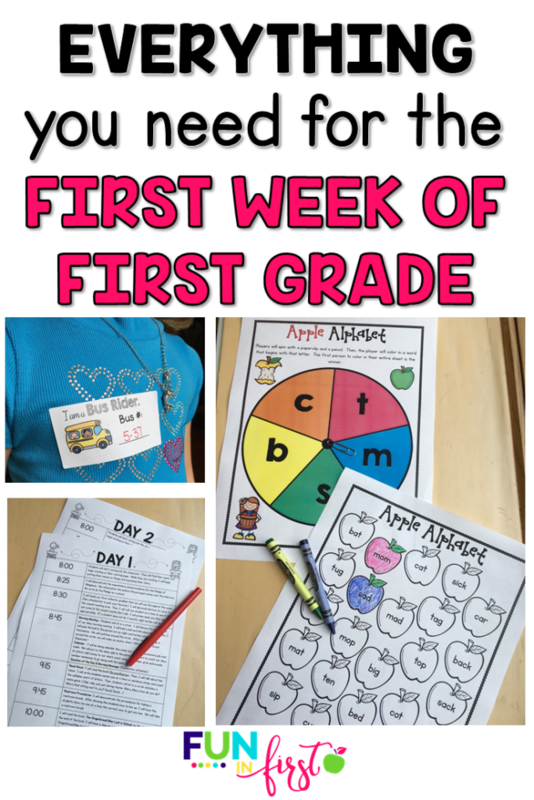 I printed off all of my first week of school items from my First Week of First Grade Packet. It is so nice to have everything I need ready to go for the first week of school. 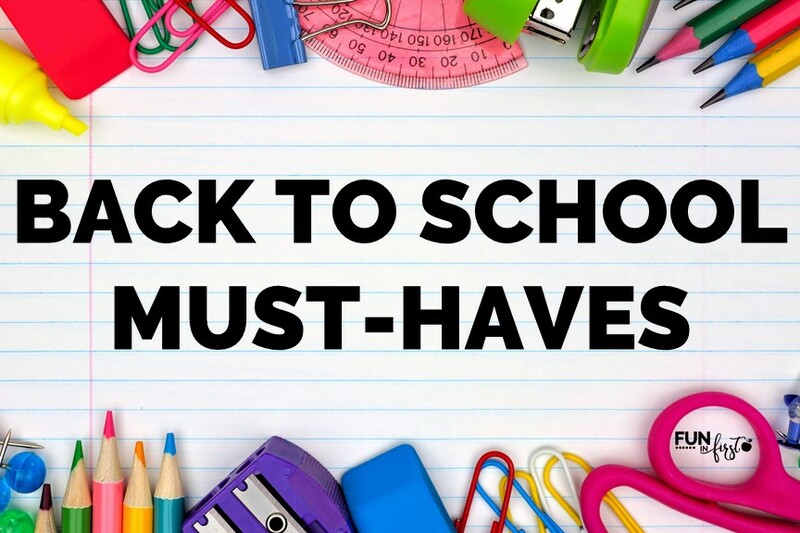 It’s officially time to start thinking about heading back to school. I know you may not be ready, but I also know that you can’t help but think about it. The school supplies are out in the stores, and they are just staring at us every time we go. I am proud to say that I have not purchased a single item, yet. I’m holding strong…until next week. 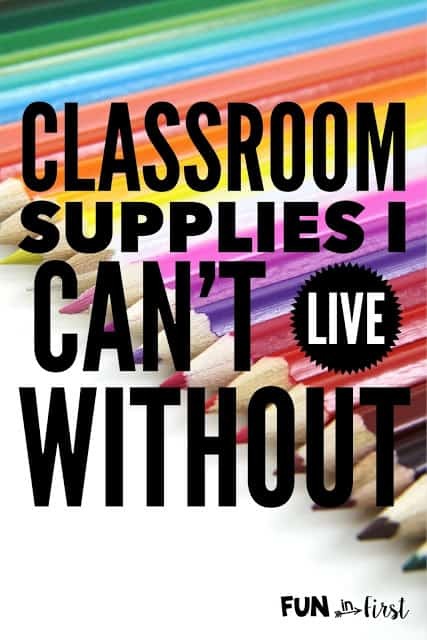 I wanted to share some of the classroom supplies that I can’t live without. These are items that I find myself buying every school year. Maybe this will help when you are ready to start buying. 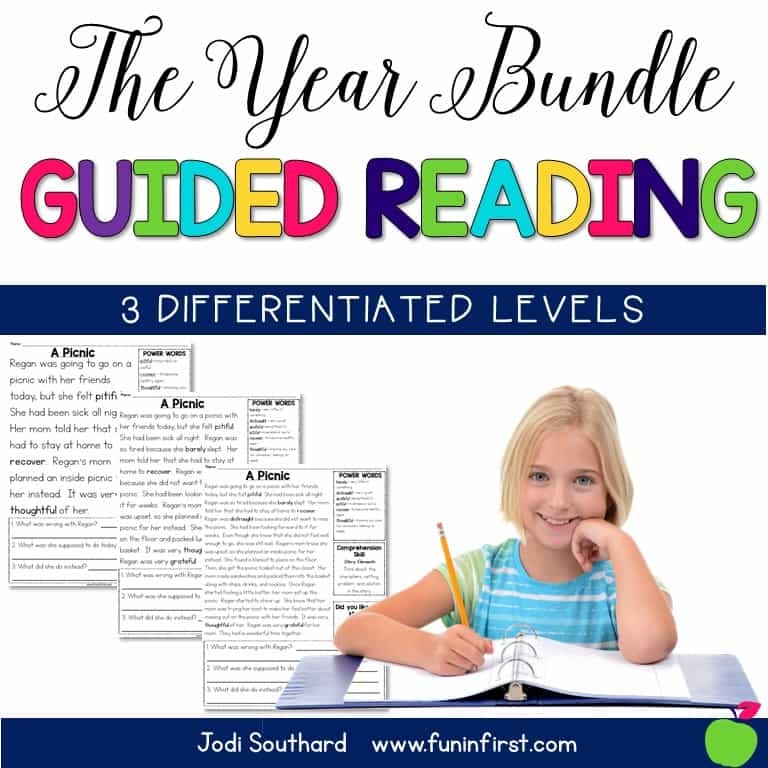 You’ll have some ideas of what you might need this year. 1. Mr. Sketch Markers are my absolute favorite markers. 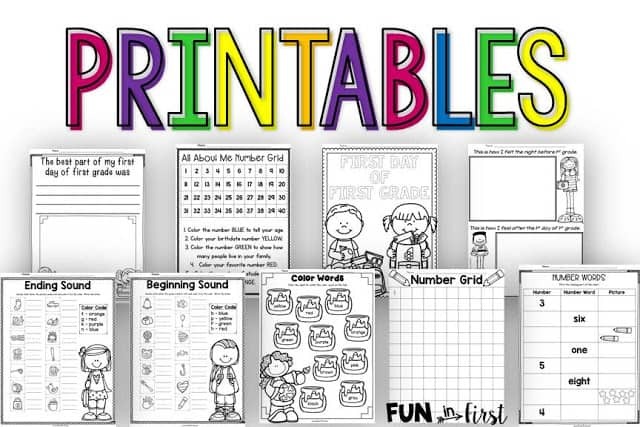 They are perfect for anchor charts. One packet will last me the entire year. 2. 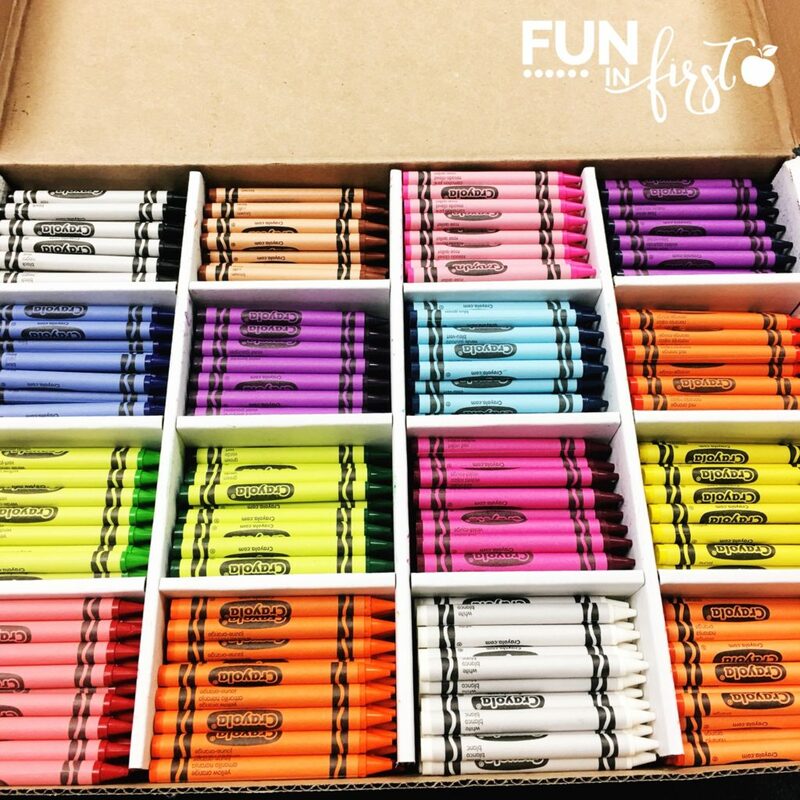 Crayola Crayons – This one is kind of a no-brainer, but they are definitely a necessity that I buy EVERY single year. I always stock up while they are cheap at Walmart. This way, I do not need to buy new crayons in December when ours are lost and broken. I can also pull out a new box anytime I need one, because in all honesty, I’m a sucker for a brand new crayon. ﻿3. 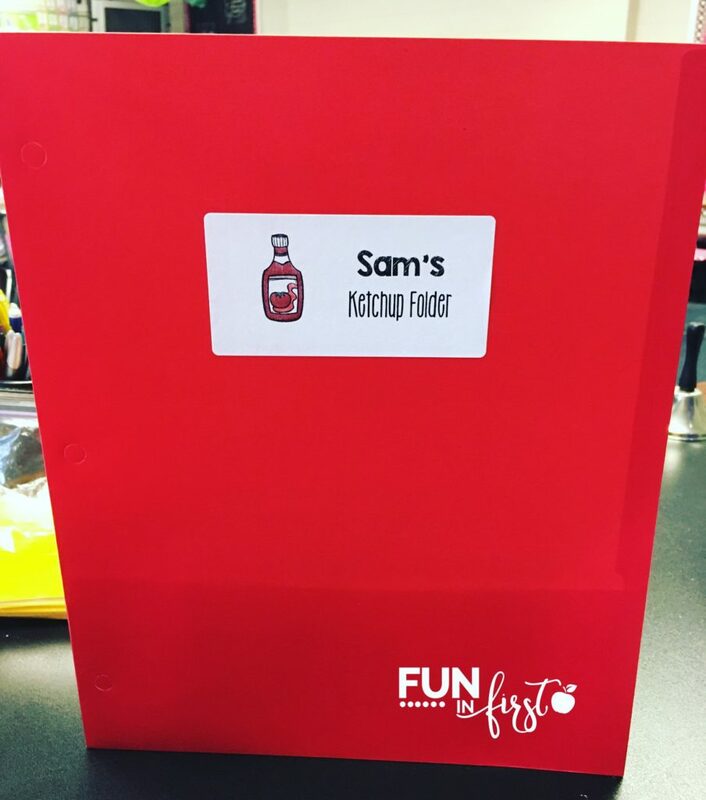 Laminator & Laminating Pouches – I use my laminator all.the.time! I purchased this one a couple years ago, and it’s still going strong. I buy my laminating sheets from SAMS in bulk. 4. A Good Pencil Sharpener – I have gone through SO many pencil sharpeners, but I finally found one that I love. 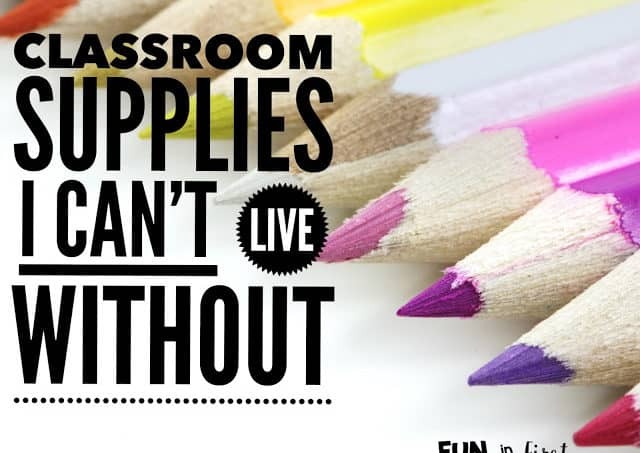 This X-Acto Teacher Pro sharpener is my favorite! It sharpens the perfect point, and I love that light that comes on when the pencil is ready. 5. Stickers – I LOVE cute stickers! I usually just stock up at Dollar Tree. 6. Astrobrights Paper – I’m kind of a paper hoarder! I LOVE beautiful colored paper. 7. Coffee – This may not be a necessity for you, but it definitely is for me! I purchased this adorable mug from Bound to Be Loved on Etsy last year. I love it! 8. Sharpies – I truly love Sharpies of all kinds and colors. 9. 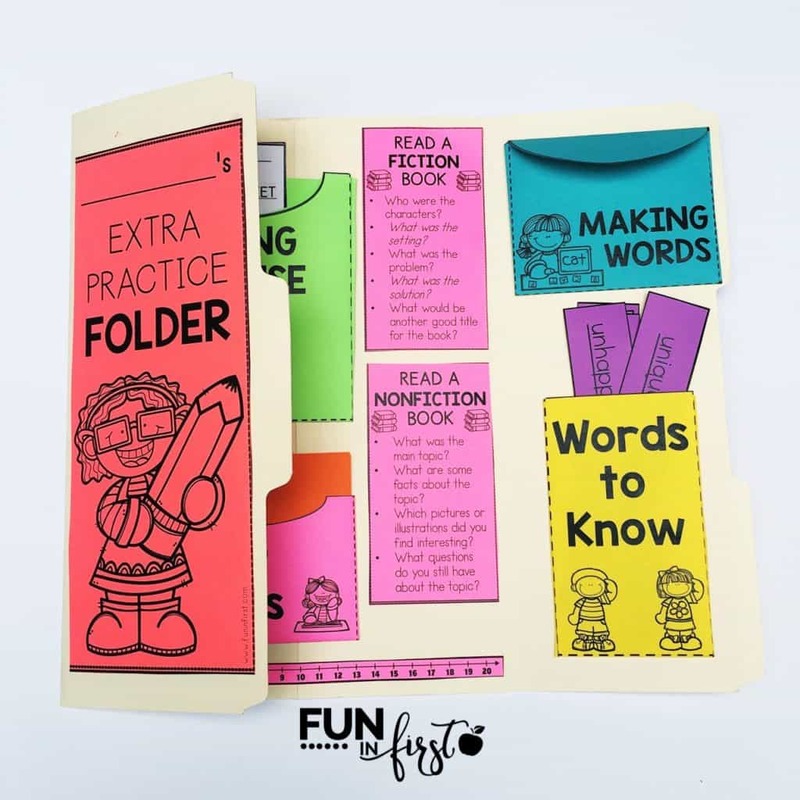 2 Pocket Folders with Prongs – I use so many of these. I stock up at Walmart when they are super cheap. 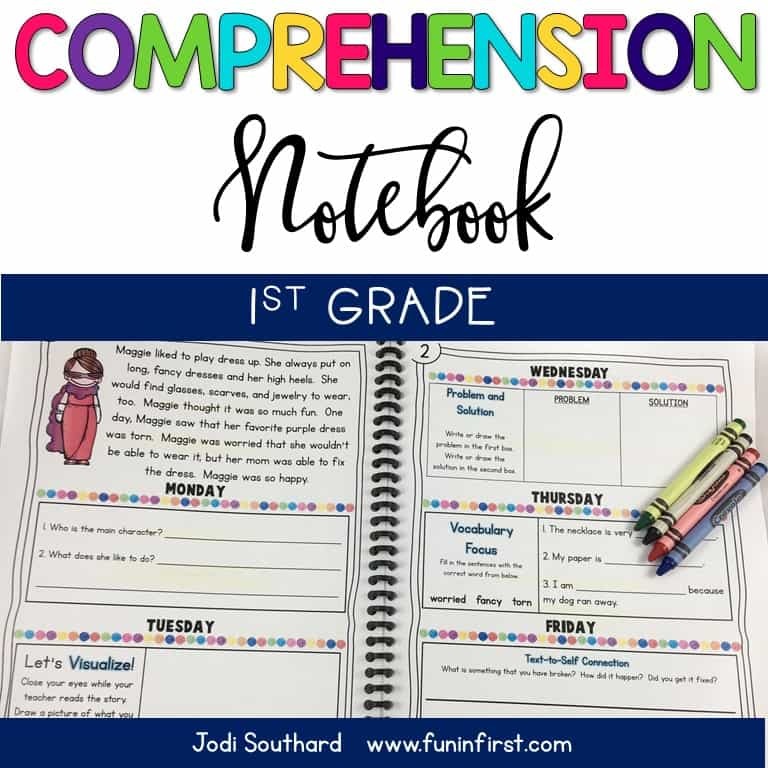 They are great for writing folders, my Comprehension Notebooks, Poetry folders, homework folders, etc. 10. 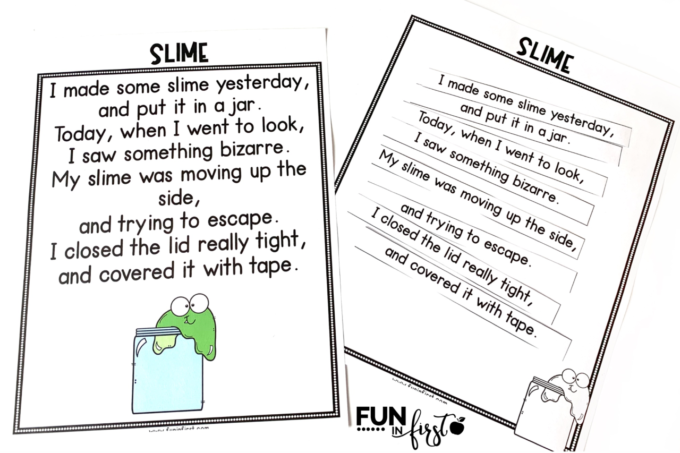 Primary Writing Journals – I put these on our school supply lists, but sometimes they are hard to find. I always buy some to have for those that cannot find them. They are perfect because they have writing lines and a space to draw. 11. Post-It Notes and other notepads – I love cute notepads and colorful Post-It Notes. 12. Personal necessities – Mints, lotion, chap stick, snacks, Band-aids, etc. I also always have a sweater on the back of my chair for those days when the air conditioning is on too high, or the heat doesn’t come on soon enough in the winter. 13. Thank you Notes & Blank Notecards – I always have a stash of Thank-You notes as well as blank notecards. You never know when you will need one quickly. What classroom supplies do you find yourself buying every year? 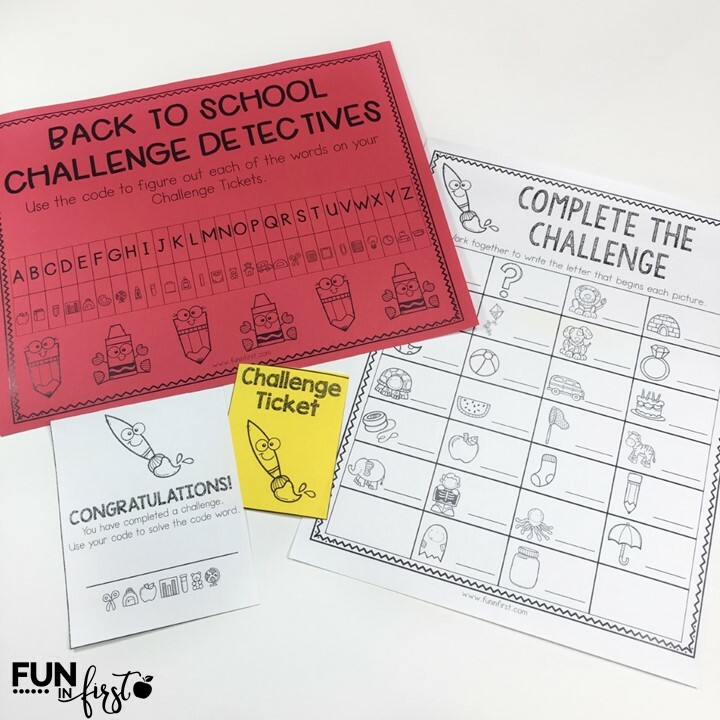 Even though the first week of school can be such an exciting time, it can also be downright stressful! 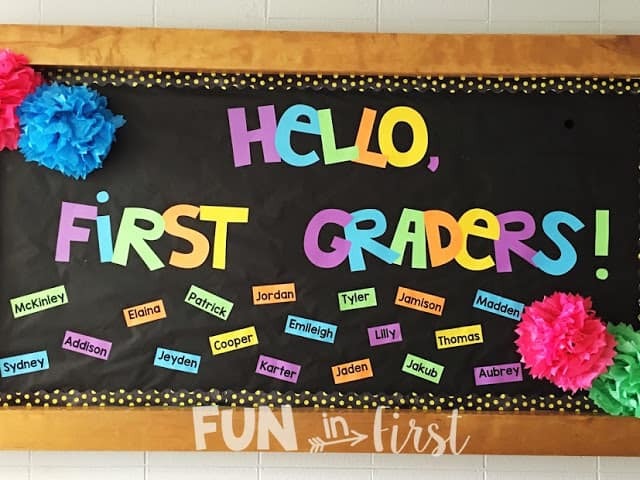 The first week of first grade is full of excitement, energy, and pure exhaustion. 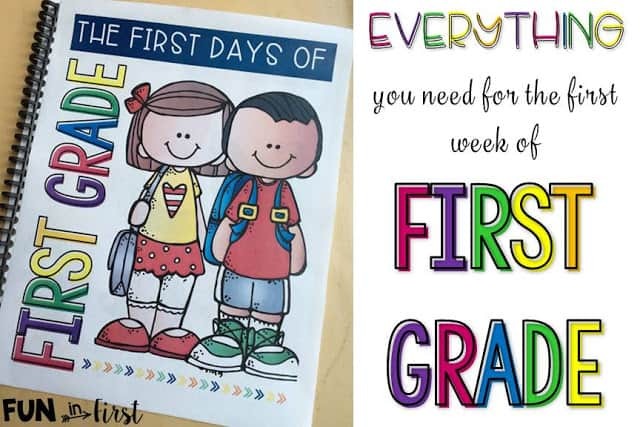 Even though I have taught 1st grade for MANY years, I still get overwhelmed before school starts with planning exactly what I want to accomplish during that first week. 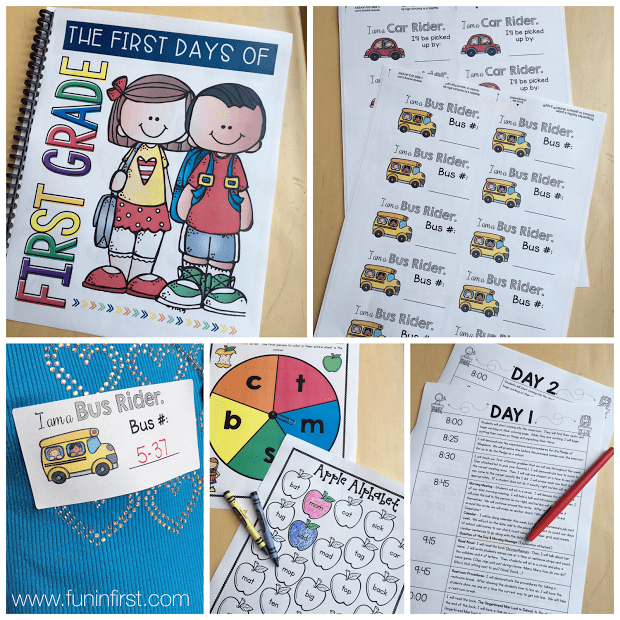 I wanted to help take away some of that stress by putting everything together for the first week of school. 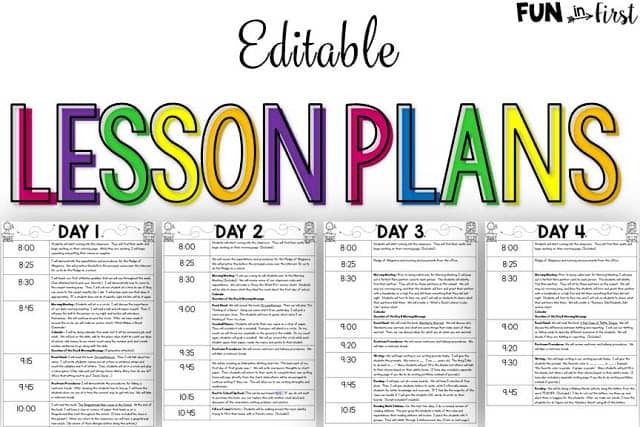 I have included detailed lesson plans. Plus, they are EDITABLE to fit your needs. 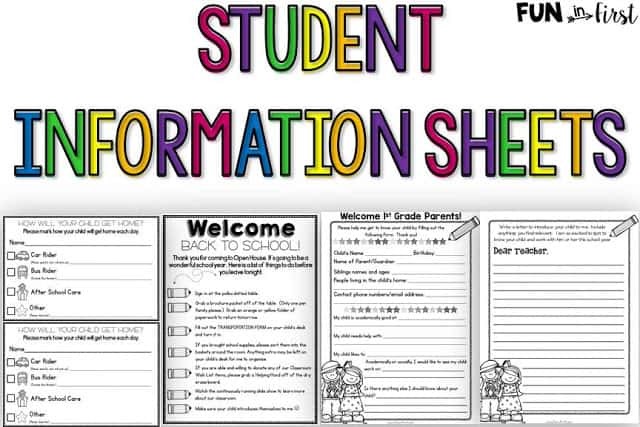 You will find student information sheets that are perfect for sending home during a Meet the Teacher Night or on the first day of school. 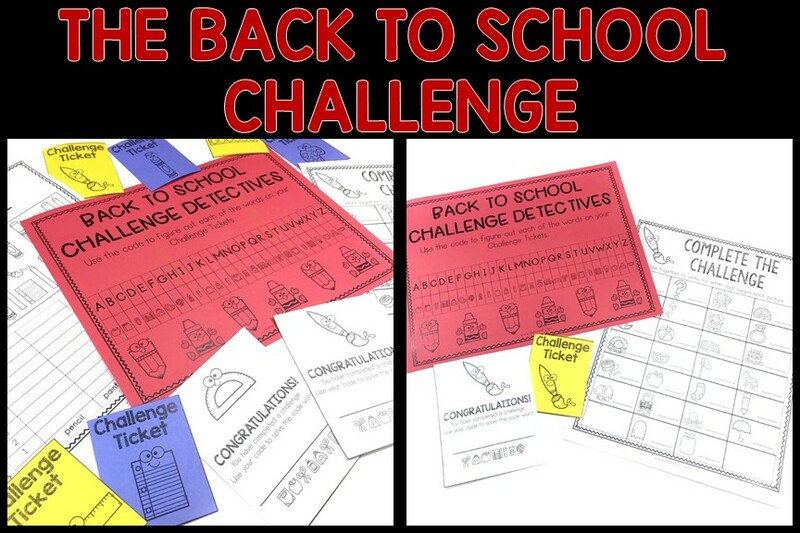 Every printable that you will need for the first week of school is included in this packet. This packet also includes editable welcome letters, attention grabbers, activities, games, to-do lists, dismissal tags, and more! 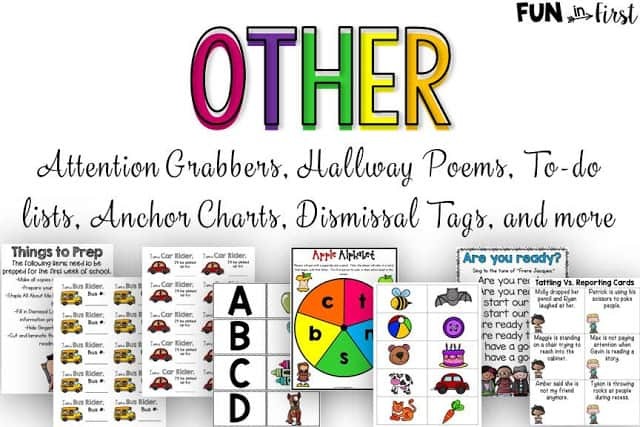 Whether you are a seasoned 1st grade teacher or you are new to this grade level, this will be a fantastic resource for your first week of school. 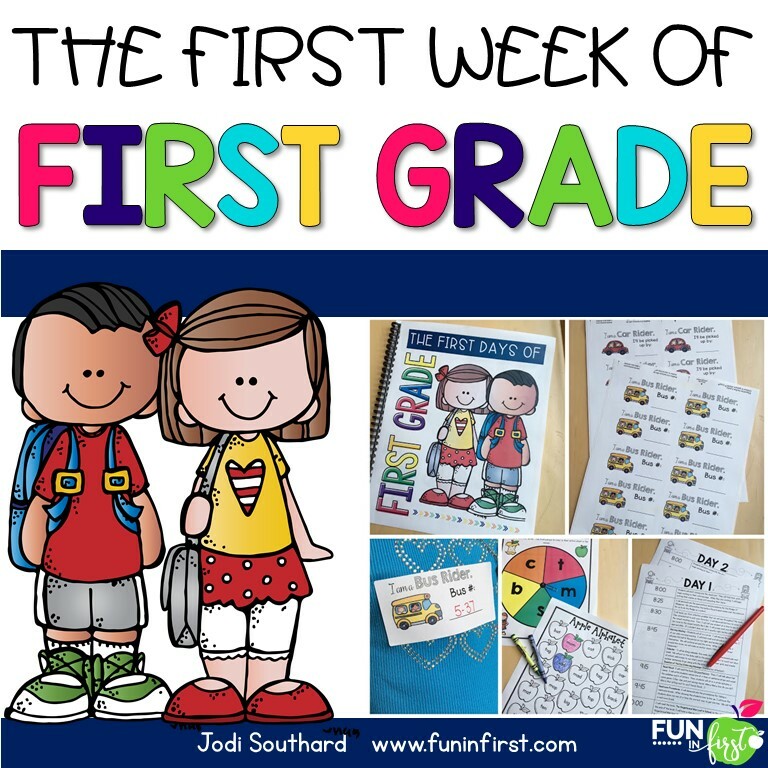 Head over to my Teachers Pay Teachers Store to learn more about The First Week of First Grade.